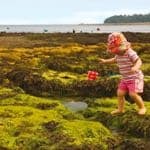 A family holiday on the Isle of Wight ticks all the boxes – an exciting journey on the ferry, safe and sandy beaches, rock pools, wide open spaces, lush countryside, pretty ports, rural villages, indoor and outdoor family attractions, sailing and other water sports. 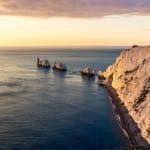 The Isle of Wight plays host to events, carnivals and festivals all year round and the island is one of Europe’s richest places for dinosaur remains – fossil hunting is a must. Explore by car or, better still, discover the island on its many cycle routes and walking trails. We have our own office on the Isle of Wight so our team is on site to ensure we have the best properties and great service too, once you’re on the island. We have hand-picked more than 150 places to stay with rural, village and waterfront locations ranging in size from one to six bedrooms – from contemporary barn conversions and sleek apartments to traditional thatched cottages. There’s even a houseboat in Bembridge Harbour. Locations include Shanklin, Bembridge, Ventnor, Cowes, Seaview, Ryde, East Cowes, St Helens and Yarmouth. For example, this two-bedroom Georgian cottage in Ryde has a charming garden and central location. In Ventor, 6 St Josephs is well set up for families with younger children whilst Primrose Cottage in St Helens is in easy walking distance of the beach, a children’s playground, shops and the village pub. Barton Lodge is located just moments from Queen Victoria’s Osborne House near East Cowes, sleeping six in great comfort. 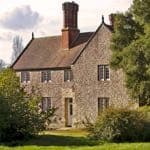 For larger parties, and located on the same estate, Barton Manor Farmhouse is a four-bedroom gem, oozing character and style plus access to a private beach. In Seaview, we love Sea Whispers for its contemporary, open-plan living and fabulous views across the Solent. 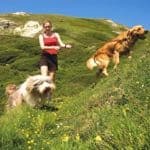 Many of our properties are dog-friendly and some are available for a short break as well as longer holidays. Frequent daily ferry crossings are available year-round from Southampton, Portsmouth and Lymington – we can arrange your very crossings at a discounted rate. You can travel from London to the Isle of Wight in less than four hours. Check out our full range of family cottages on the Isle of Wight.